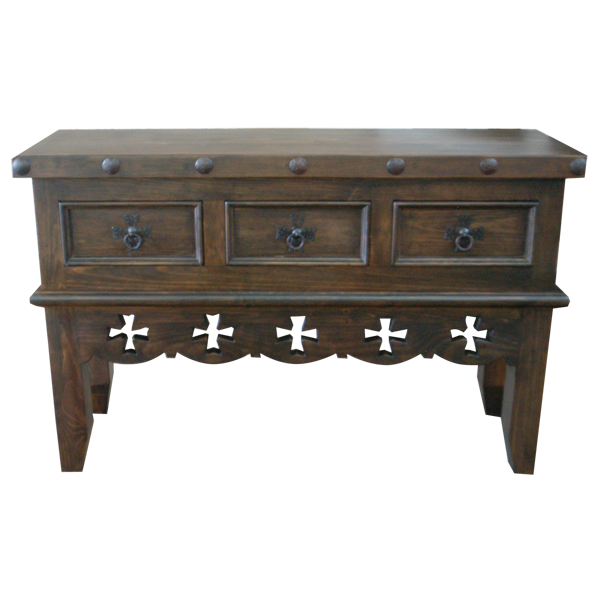 With its luxurious, antique finish and its Spanish colonial details, this handcrafted console will be a wonderful addition to your home décor. 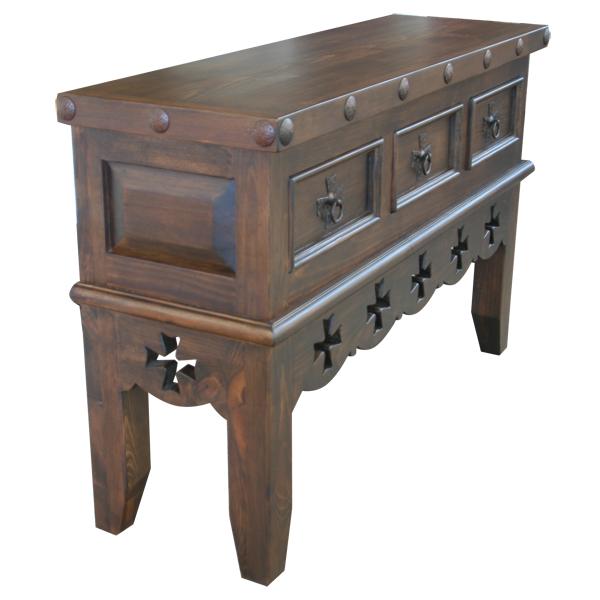 The front of the console has three, horizontal drawers, and each drawer has a hand forged, iron, pull ring with a cross base in its center. Below the drawers is a wide molding, followed by a base adorned with a curved, solid wood apron. The apron is embellished with five, cut out, Spanish colonial style crosses. Each lateral side of the console has a decorative, rectangular cut panel, and below each panel is a matching cut out cross. The console has an open, wide top, with a classic, straight, top rim. The top rim is enhanced with large, hand forged, iron nails intermittently hand tacked to its side. The console rest on square cut legs, with slanted cut feet. 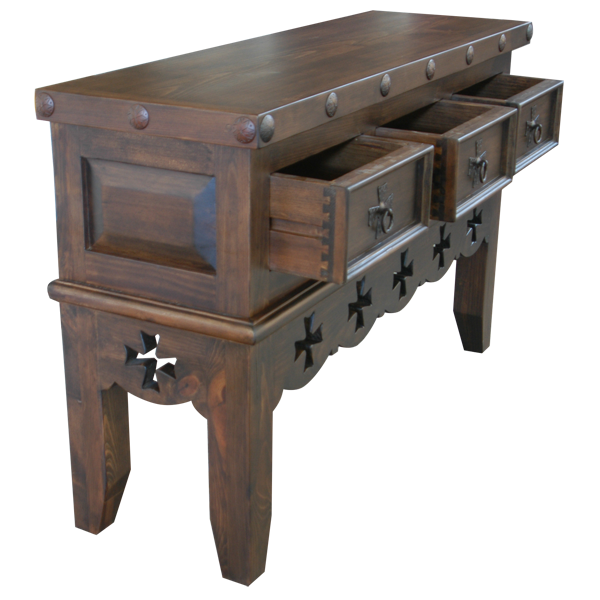 It is made with the best, sustainable, solid wood available, and it is 100% customizable.